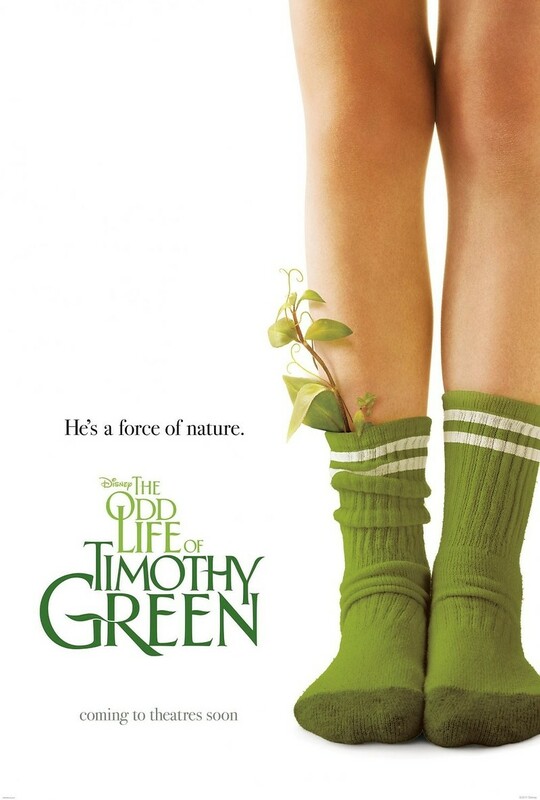 The Odd Life of Timothy Green DVD and Blu-ray release date was set for December 4, 2012. Cindy and Jim Green desperately want to be parents, but they have been told by a fertility doctor that Cindy's having a baby is out of the question. Despondent, they write all of their dreams and wishes for the child they cannot have in a box and symbolically bury it in the backyard. After an unusual thunderstorm in the middle of the night, they awake to find a child named Timothy on their doorstep. Timothy is a most unusual boy, starting with the fact that he has greenery growing out of him. He has many peculiar traits, but the Greens are all too happy to lavish love and care upon him. They will soon learn just how rewarding and painful raising a child can be.